ALL INFORMATION MUST BE COMPLETED! Do you need to shelter a pet? 2. 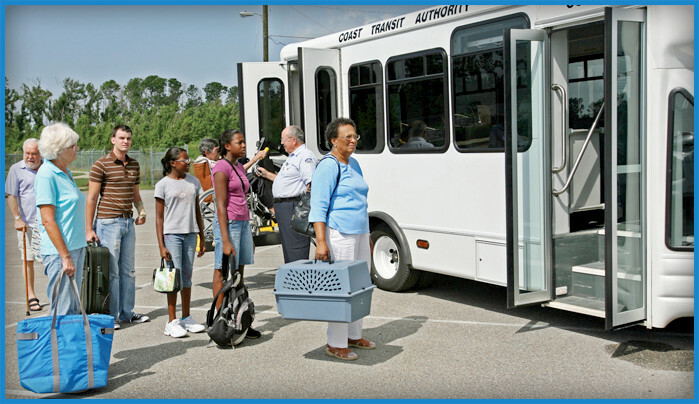 Transportation to a local shelter is determined by your residence and shelter location, passenger cannot specify what shelter they will be transported to. 3. Baggage limited to TWO (2) Carryon Sized Bags per person that can be stored under their seat or held in lap. Baggage must be packed and ready to go when bus arrives. Bus will not wait for you to pack your bags. 4. Passengers responsible to bring their own supplies to shelter: water, nonperishable foods, prescription and non-prescription medications, oxygen tanks, baby formula, wipes and diapers, etc. 5. Qualified pets must be in a pet carrier when the bus arrives and accompanied by owner during transportation. 6. 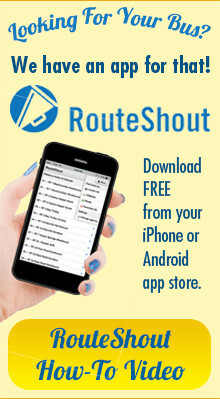 If you are not going to go to the evacuation shelter, please call CTA to cancel the ride.